As the situation surrounding Brexit remains uncertain, Medline has forged ahead with its Brexit continuity plans. 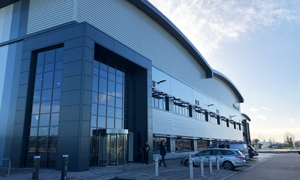 Our warehouse in Bicester, Oxfordshire, is stocked with 98 per cent of all UK products, and starting today, we began fulfilling orders and shipping to customers from this location. All UK orders will ship from Bicester for as long as there remains a risk of delays at the border. With our careful preparation and a robust European logistics network as a backup, rest assured that we are prepared for whatever decision comes. There are no changes to the ordering process itself, and customers should continue to send orders to Medline Customer Services via the normal route. Should customers require further information or details on a specific order, they can contact our Customer Services team on 0800 151 3587 or via email on [email protected]. We will continue to monitor the situation and brief customers as necessary, including any possible disruptions to normal deliveries or business operations.